Talk to Orion at Downtown or Uptown to get this activity started. Where do sick ships go? Dock! What has a port but no harbor? … Cruise Ship! Self-Contained, Underwater, Breathing Apparatus Underwater at the Island! *You’ll need to wear the scuba suit to get this gem. 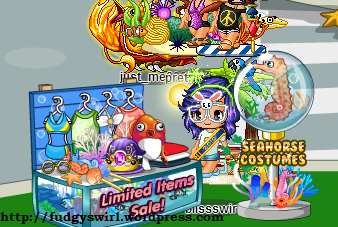 You can buy the underwater costumes at High Tide and underwater (first go to the Island, then click the tube – it’ll take you underwater) The seahorse costumes can also be bought simply Uptown/Downtown. 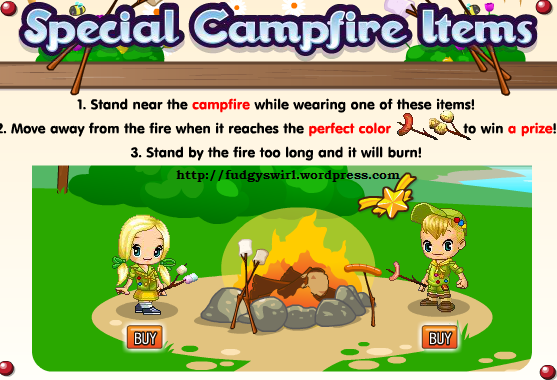 Fantage Summer Camp 2013 is now released! 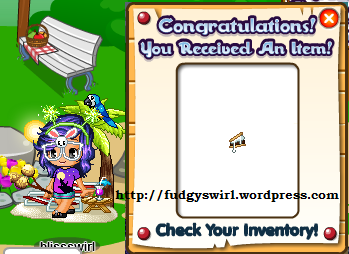 You can buy Limited Items and the same Fishing Gear from last year (the canoe costumes). At the campsground, if you go all the way to the right you’ll be able to fish. 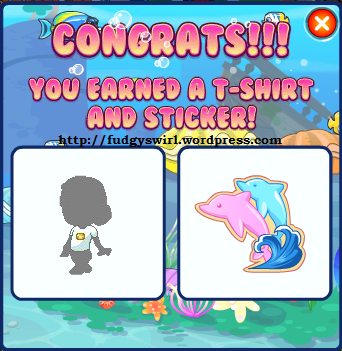 You’ll be able to go into the water if you have some specific boards (there’s a sign with more info). 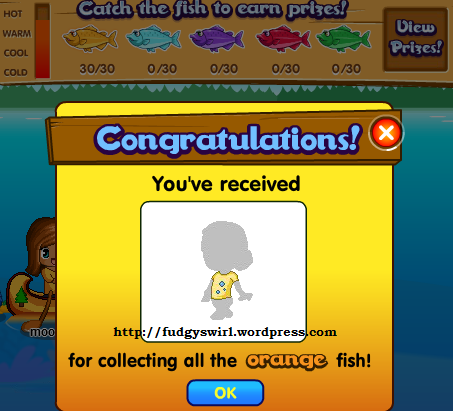 ANYWAYS, with the special costume, you can fish to earn prizes! Oooh who will win? My money’s on the girls. Roast your marshmallows to perfection to get a yummy (gooey) smores treat! 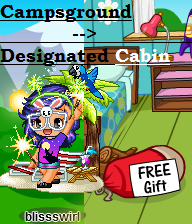 You can use your canoe costume at the campground which is now open! Go to your designated cabin at the Campsground to get a free t-shirt! Click on the flower basket atop the boys’ cabin and watch as pretty flowers drape their headquarters.